Red Land Senior Center is contracted with the York County Area Agency on Aging to serve a nutritious daily lunch. If you are 60 or better and live in York County, you are eligible to sign up! The meal is free however we do accept and encourage donations. Meals are served at noon Monday through Friday. Please note that meals are catered, so reservations must be made by 10:30 AM one business day in advance. Reservations may be made by calling the center at 938-4649, emailing us at rlscdirector@gmail.com, or by simply stopping in. Recently, the York County Area Agency on Aging began implementing monthly quotas for meals served. 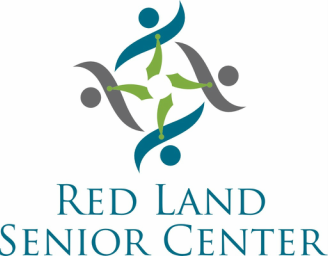 Red Land Senior Center is responsible for serving an average of 30 meals per day. If we do not meet these standards, we risk losing our contract with the county, which in turn means a loss in funding. We need your help to reach this goal! Please note also that the more people we serve, the more money York County Area Agency on Aging will grant to our center. If you or a loved one meet our age and residency requirements, we would love to have you! Sign up today! A copy of our most recent lunch menu is enclosed with each newsletter. To download a copy, click here.